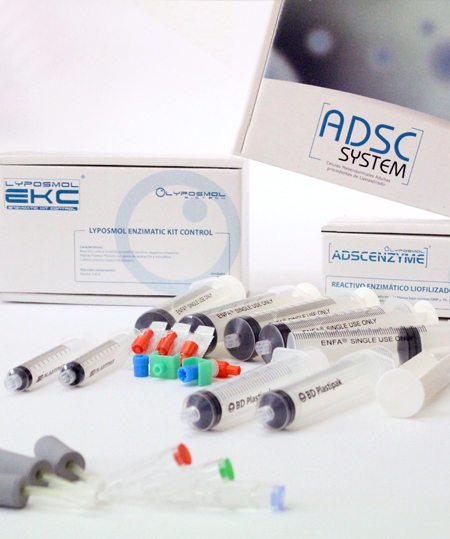 The product ADSC SYSTEM® is the result of the development and scientific research led by the technical department of Lyposmol and born based on the biotechnological needs of the collaborating clinical centers. Thanks to the technical team and our clinical partners, we have been able to develop the most competitive, safe and profitable marketplace product within the Immediate Therapy in Regenerative Medicine. Lyposmol ADSC System® is a group of products necessary to carry out a process developed, researched and optimized for obtaining the cell groups of the Stromal Vascular Fraction (SVF) of the adipose tissue with the highest viability, biosafety , effectiveness and profitability of the market, complying with the legal requirements for its commercialization and use. 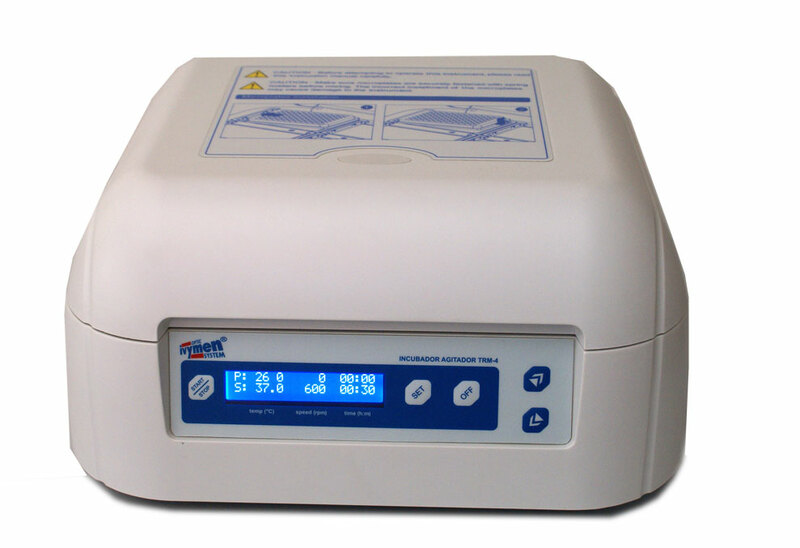 in addition to the products included in the kit, we have included the Know-How developed by Lyposmol to be able to offer an easy and effective technical protocol for a correct use during the process. The Lyposmol ADSC System® product has been developed in compliance with the Spanish and European legislation, and the technical department of Lyposmol is in constant communication with the accredited official bodies to offer the maximum guarantees for the immediate therapy and regenerative medicine markets. Within the Lyposmol ADSC System® kit, we offer 2 biotechnological products developed by Lyposmol that differentiate product and system from the market. Together with Lyposmol ADSC System®, a minimum technical equipment is required to carry out the process consisting of a centrifuge, a thermo-aggregator and a vortex stirrer. Lyposmol does not distribute or sell technical equipment but has selected the manufacturer JP SELECTA, a company with extensive experience and positioned in the sector of technical laboratory equipment, who have adapted, modified and parameterized the equipment according to the technical requirements of Lyposmol ADSC System®, thus, the investment in technical equipment is very economical due to the absence of commercial intermediaries, offering a wide pre-sale and after sales service by SELECTA and its distributors.